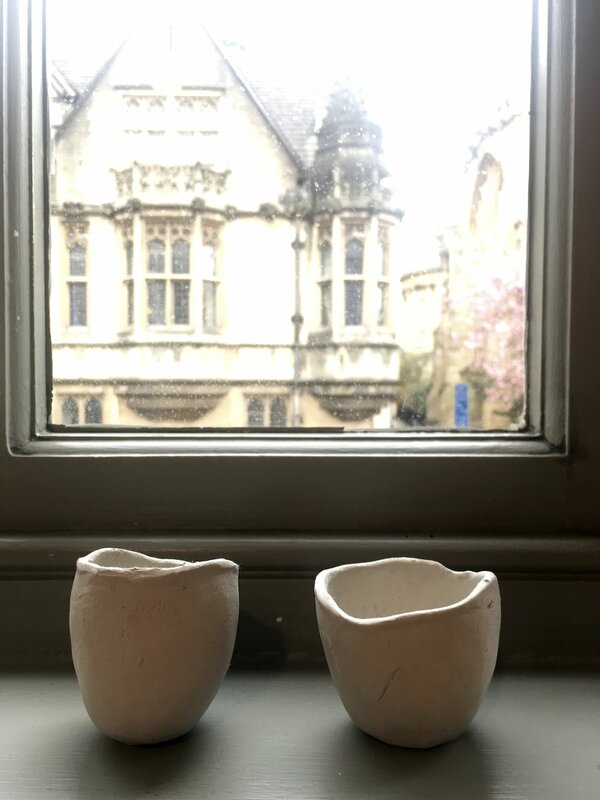 I was lucky enough to be chosen by Toast to be part of their Toast Curates series of events in Bath and Oxford for their launch of their Spring-Summer 2018 collection, 'Elements of Materiality'. Ceramics artist Bisila Noha’s work is inspired by the textures and unpredictability of nature. During this workshop, Bisila will demonstrate traditional pottery techniques and how natural materials can be used to leave marks. Using air dry clay, you will be able to experiment with this material and hand make a ceramic pinch or coil pot that can be taken away.